WASHINGTON - Puerto Rico Gov. Ricardo Rosselló said Friday that it is "unconscionable" that Republicans would stick with provisions in their tax bill that would strike a blow to hurricane-devastated Puerto Rico. "It is devastating and unconscionable that Congress would do this at this juncture," he said in a telephone interview with NBC News from San Juan, Puerto Rico. GOP leaders unveiled the compromise legislation hammered out by congressional negotiators who ironed out differences between the House and Senate version. The bill must still be approved by both chambers. Rosselló said the compromise bill includes a 12.5 percent tax on "intangible assets" of U.S. companies, such as a pharmaceutical patent produced in Puerto Rico, and a minimum of a 10 percent tax on companies' profits abroad. "They are treating Puerto Rico as a foreign jurisdiction so they are levying a full tax," he said. He pointed out that the tax assessments come after several Republicans in Congress, including House Speaker Paul Ryan, R-Wisc., visited Puerto Rico and gave reassurance that help would come to the island. "They certainly turned a blind eye, turned their back on Puerto Rico," he said. "It shows a lot of hypocrisy. They stated what the path forward was in 2016 and now they do the exact opposite." Rosselló was very disappointed with Sen. Marco Rubio's eleventh hour announcement that he would support the compromise bill after winning a concession on tax credits for children of working families. "It is a devastating blow to the people of Puerto Rico. Senator Rubio seemed to understand what it meant that it had a severe impact on Puerto Rico. So it is disappointing," he said. Rubio is not up for re-election to the Senate until 2022, but Rosselló said Puerto Ricans "will be very mindful" of the votes on the tax bill in the 2018 midterm elections. He said Puerto Rico will continue to fight the compromise tax bill "tooth and nail" and won't stop should the bill be signed into law by President Donald Trump. "I will be very active and I'm sure my colleagues will be very active, in different Puerto Rican populations or Latino populations and make sure everyone knows we were treated as second class citizens," he said. Puerto Rico has been struggling to recover from Hurricane Maria, a Category 4 hurricane when it hit the island on Sept. 20, throwing the island into darkness. Much of the island remains without electricity and potable water. The storm, and the sideswipe from Hurricane Irma 14 days earlier, has exacerbated job losses on the island and an exodus of islanders who are relocating to the mainland U.S., worsening the island's economy. When Congress crafted legislation to oversee Puerto Rico's financial restructuring, it created a congressional task force to rebuild the U.S. territory's economy and nurture economic growth. The task force adopted guiding principles that stated Puerto Rico is often relegated to an afterthought in fiscal and tax reform and the next time those were addressed, the island had to be an integral part of the reforms. The principles also stated that Puerto Rico jobs are U.S. jobs and they called for additional incentives for Puerto Rico. Those are ignored with the tax bill, Rosselló said. 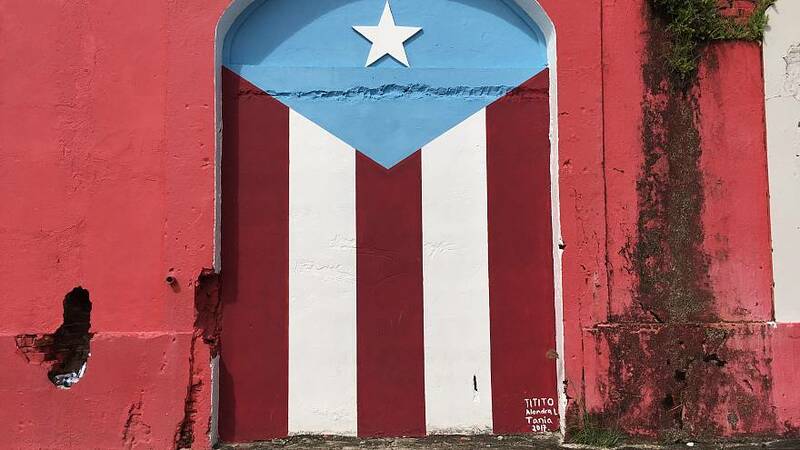 Before the storm, Rosselló had been pushing for statehood for Puerto Rico after the island's voters gave it a thumbs up in a low-turnout election. Rosselló said the treatment of Puerto Rico in the tax bill shows how powerless the territory is. "It is important to state the reason they can do this is we have no political power, no representation now and a few votes here and there made a difference," he said. The Senate version of the tax bill was approved 51-49, he noted. "If we had two votes" as all states do, "we could have had leverage on deciding on whether it was good for Puerto Rico," Rosselló said.